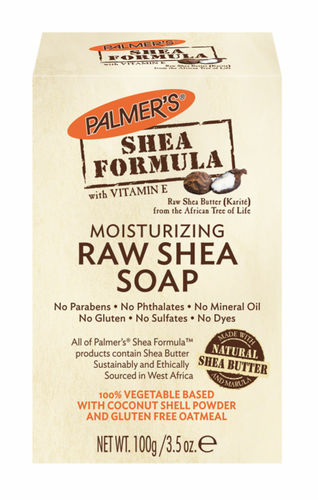 Palmer's natural Shea Butter is ethically and sustainably sourced in Africa. This rich, super nourishing ingredient is the building block for softer, radiant skin. It is a 100% vegetable based bar that gently cleanses and detoxifies without stripping skin of its natural oils. Finely ground Coconut Shell powder gently removes dead skin cells while Oatmeal Extract soothes and Shea Butter maintains moisture balance.